Want to see what cool swag you get for Gears of War 3 Limited and Epic Edition? Octus Award Box and a to-scale zinc Octus Service Medal. Exclusive Adam Fenix multiplayer character. The code for the download is engraved on the service medal. Adam Fenix's personal effects -- his "Last Will & Testament", Hammer of Dawn schematics, and Fenix family mementos. Marcus Fenix statue -- PVC. 11.2"
Infected Open Weapon Pack -- special skins for Lancer, Retro Lancer, Hammerburst, Gnasher, Sawed-off Shotgun. 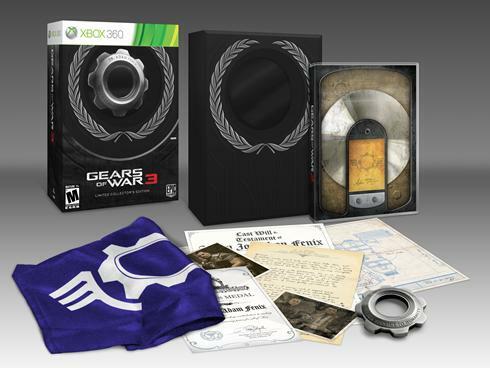 Everything from the Limited Edition -- Award Box, Medal, COG Flag, Adam Fenix, Adam Fenix's personal effects. Gears fans, do these bonuses feel worth the extra cash? Limited edition definately sounds good enough for the price but the chunk of extra cash to get "Epic" edition for a little statue, art book and gun-skins doesn't feel right. Will you be getting just the game, any of these special editions or not getting any? 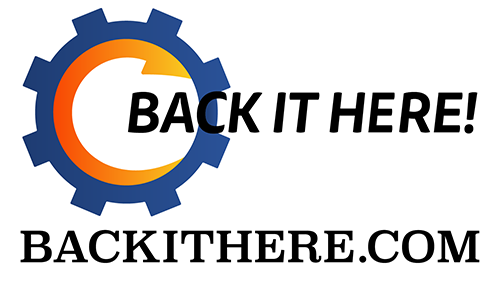 Leave a comment with your thoughts and opinions. Gears of War 3 Limited and Epic Editions Announced! Finally we find out what comes with the Limited and Epic editions of gears of war 3. In this new video, we go behind the scenes with Epic Games Art Director Chris Perna, giving fans a window into the mind of the visionary artist who helped berth some of gaming’s most iconic characters and settings. An Octus Award Box and Octus Service Medal – Replicas of the honors bestowed on Adam Fenix, Marcus’s father, for his work on the Hammer of Dawn. Exclusive Unlockable Adam Fenix Multiplayer Character – Each Octus Service Medal replica is engraved with a unique Xbox LIVE code that is the only way to unlock Adam Fenix in multiplayer. A fabric COG Flag – Proud colors that once flew above the House of Sovereigns. The personal effects of Adam Fenix, including his “Last Will and Testament,” the initial Hammer of Dawn schematic, and other Fenix family mementos. A Limited Edition Marcus Fenix Statue – Designed by Epic Games Art Director Chris Perna and expertly crafted by the artisans at Triforce, this fine PVC statue collectible makes the ultimate living room centerpiece for any true “Gears” fan. The Art and Design of Gears of War by Tom Bissell – Through unprecedented access to the Epic Games team, acclaimed author Tom Bissell (Extra Lives) gives readers an incisive behind-the-scenes glimpse into one of the most celebrated sagas in video game history with 96 pages of interviews, photos, concept artwork and more. Infected Omen Weapon Pack — Custom multiplayer skins for the game’s five starting weapons; Lancer, Retro Lancer, Hammerburst, Sawed-off Shotgun, and Gnasher Shotgun. 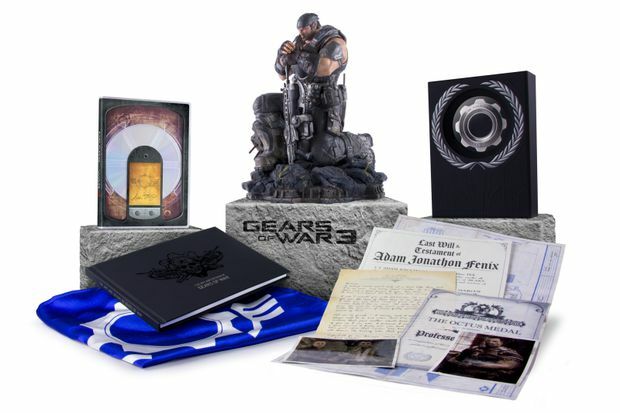 All the contents of the “Gears of War 3” Limited Edition. The “Gears of War 3” Limited Edition and Epic Edition are the only ways to obtain these high-end collectibles and downloadable content. With production values worthy of the most discerning fans, the “Gears of War 3” Epic Edition is available in very limited quantities and only while supplies last. . I am so HYPE i have the limited edition reserved so i'll be getting some of these goodies. I'm sure these will satisfy any gears fan.....so what do you guys think about the extras? let us know don't be a jimmy.